Most likely, you have heard my recommendation on the Horror Jungle by the time you read this, and know I have given this movie a 7/10. I really liked this movie, although it definitely doesn't follow the conventional rules of the vampire sub-genre. It is what I would call an eerie movie, not terrifying at all. Based on ratings I've seen around, this picture is polarizing. If you are looking for a conventional vampire movie with alot of intense scares, chances are you won't like it. It has alot of interesting themes involving Madeline's pregnancy and early "child" care, there are some pretty cool subplots, most things are explained throughout the course of the movie, and I liked the ending of it (except it does leave it open to a sequel...not sure about that). Price-wise, it isn't too bad. The cheapest I found the Blu Ray was $13.69 on Amazon (where I bought it), and the DVD was only $9.99 on Best Buy's website. The Blu Ray has alot of cool extras, as well. If any of you see it or have already seen it, please weigh in, I'd love to hear your thoughts! I need horror Blu-Rays and this sounds thrilling Butcher. Love your segment, refreshing and new. Great Blog that is cool you got your own vanity name as Blog. Shetie didn't like GRACE it must be lax on GORE and BORING maybe? You 8 well 7 this episode make a GREAT mix of HOSTS. I couldn't be more happier that there is other places to comment now on the podcast. Forgive me but I can't stand that Dr Shock guy, he is so full of himself it really irks me. He eats to much tea and krumpets for me. Awesome vampire segment and I will continually look forward to hearing about more of these type of horror movies. Like the website Vampire dude. I watched Part2 of 30Days last week and you were right it was good. That is all I needed was one good recommendation now I am your follower. Way to roll with the vampire movies. Impressive cast btw. Thanks for the positive feedback! I love doing the segment, and look forward to keeping it going on this blog. Thanks for listening to the Horror Jungle! I hope you really like it! Please let me know what you think of it, I'd love to discuss it. Thanks! I meant to get into the details of why Bill didn't like it. It does have some pretty bloody scenes toward the end, but it is more of a creepy moody piece. I'll have to ask him! Thanks for your kind words, for stopping by to comment, and for listening! Thanks for commenting, and for listening! The great thing about the podcast is it has something for everyone. I have to say that everyone on the podcast have been great to interact with. I look forward to communicating with you here on my blog as well! Love the podcast & the new blog. I do indeed want to hear recommendations from people who like the vampire segment! I appreciate your suggestions. I have had others suggest Near Dark, as well. I saw that one in the theater years ago, and ya gotta love Lance Henriksen and Bill Paxton as vampires! Glad you like the podcast and the site. I'll try to keep it lively for you guys. Thanks for listening and taking time to communicate! Hi Boss Butcher nice to meet you. It feels like I already know you from listening to the podcasts. You sound like a humble guy and I value your opinions as a critic. 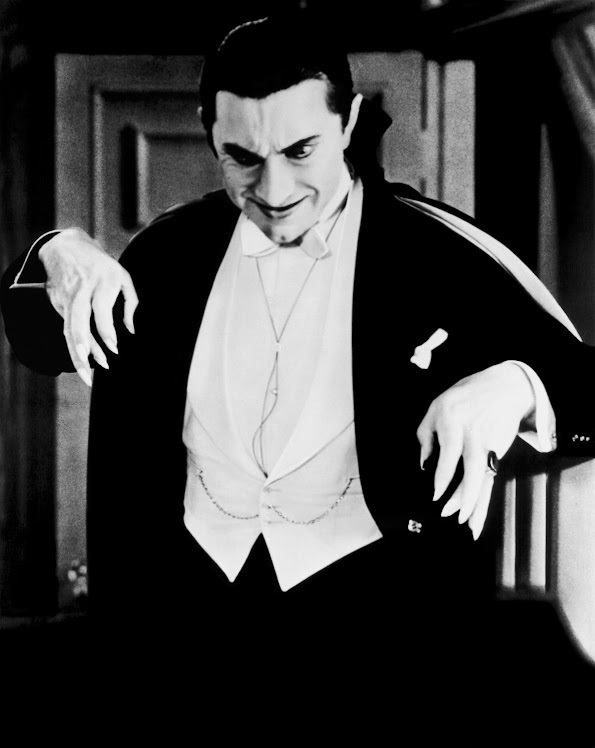 My love of horror/vampires dates back to Dracula. Vampire horror has gone through many changes over the decades, started scary then action style then comedy then romantic and finally we are getting back to gruesome vampires with many of the independents. I will certainly be keeping an eye on your segment and hopefully finding many more good vampire horror movies to watch. Excellent pod-episode, you guys mix well together. Thought provoking intelligent and fun horror pod. Keep up the excellent work on horror movies!!!!!! Thanks much for you comments! I am looking forward to discussing these movies. There are so many of them out there, the possibilities seem endless. Not to mention the other forms of media we can get into here on the site. Please stop by and comment whenever you get time! Thanks for listening! Glad you are enjoying the podcast! It's just fun talking about these movies and hearing from the listeners. Thanks for commenting and for listening to Horror Jungle. Glad you're liking the segment! Stop by when you get time to comment again and thanks for listening! Bought GRACE on Ebay for $4.99. I will let you know what I think of the movie after it arrives and I see it. Thank you sir for your segment picks. Ebay is always a good alternative! Please do share your opinions of the movie! Can't wait to hear your (and any listeners) take on Grace! Thanks for listening and commenting! Hey Butcher, awesome name btw, great selection of Vampire horror so far. It seems like you have a "keen" eye for good horror films. You're doing excellent so far Boss. It is hard to believe you're a first timer to audio and group discussions. Your Bloodbath segment is produced excellent. I love all the hosts as they are very exuberant and enthusiastic except that Shock guy. He is so "STUFFY" and pulls the cast down when he talks. On a whole, Horror Jungle is AMAZING. Thanks for taking the time to stop by, and I'm glad you have liked the segment! Please stop by any time to share your thoughts! Glad you have enjoyed the Horror Jungle! There's has been truly something for everyone. Thanks for the compliment and for commenting! Howdie do Mr. Boss I value your segment cool topic vampires. I have one that has been scurrying around the net called Ninjas verses Vampires and wonder if you have seen it and whether it is any good. Thanks for the suggestion! I actually took a little time and watched this show this afternoon. Please read the new post to see what I thought! Worried about a Zombie Apocalypse?